Everyone initially believes that buying a car is an exciting prospect. Unless you have vast swathes of money at your disposal though, buying a car can be a mind-boggling and frustrating endeavour to embark upon. More often than not, you’ll see that what you can afford may not necessarily be the vehicle you want to be stuck with for years. On the other hand, if you approach your car purchase carefully and start saving far in advance, you may actually be able to get the car that you really want. There are a few things you should think about before you start considering buying a car on finance. A mistake a lot of people make when saving up for a new car is selling their old one as fast as they can. You might want to consider against this. It’s good to plan these things far in advance. If you want to sell your old car, there’s a certain way of going about it that will be more beneficial to you in the long run. Firstly, once your old car is fully paid for through whatever financing deal you went with, you should aim to keep it in optimum condition and keep driving it for a while – perhaps even for up to a year while you’re saving. Figuring out which car fits your particular needs and circumstances in advance will save you a lot of hassle and frustration. Can you imagine buying a car that you soon find out is not really for you? You’d lose so much time and money. Ask yourself questions like what you need the car for, exactly. Is it just commuting to work and back every day? Or perhaps you carry a lot of cargo around, if you’re a tradesman? 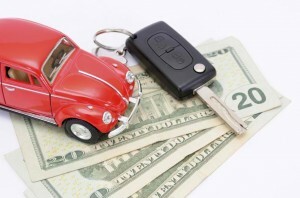 Would it be more prudent to purchase a used car as opposed to a new one? Thinking about these kinds of things early on will be very beneficial to you: it’ll make you purchase something you won’t regret. Never, ever fall for paying for a car that you can’t really afford. While drawing up a savings plan, start taking a long, hard look at your monthly budget and decide how much you can spare each month for a car payment. Once you’ve determined how much you can spare out of your overall budget, start putting the money each month into a savings account, one with a high interest rate. By behaving like you’ve already started making payments before you’ve actually started, along with taking maintenance and fuel costs into account, you’ll be able to comfortably afford the payments on your car when they do start.